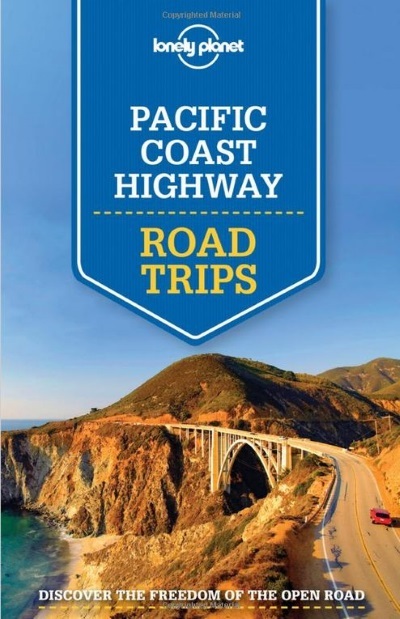 Pacific Coast Highways is in the new Road Trips series of guides from Lonely Planet, which also include Route 66 (natch), The Chateaux of the Loire Valley, and Provence and Southeast France. What's the name of the book we're reviewing, though? On the cover of our review copy the title is Pacific Coast Highways, in the plural. That's also the title used throughout the book, as in Pacific Coast Highways Highlights. It's an odd choice as the road is known as the Pacific Coast Highway. But on Amazon, the book cover shows Pacific Coast Highway, in the singular, even though the written description says Pacific Coast Highways. From what it says inside the book, it seems the plan was to range 'From backcountry lanes to beachside highways'. 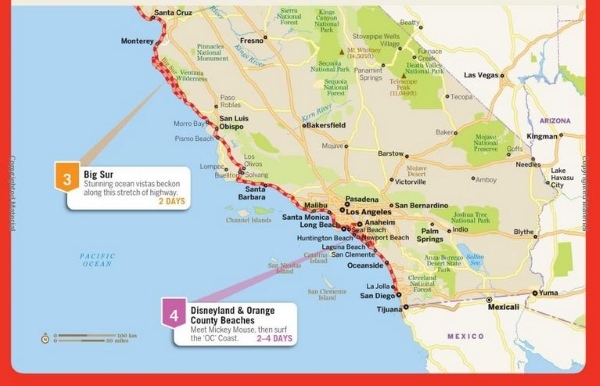 But apart from veering inland to include Disneyland, which is hardly a backcountry lane, and a few small detours, the book sticks to the coast. Very strange. The book covers the entire California coast, from near the Oregon border down to San Diego, just short of the Mexico border. Northern Redwood Coast, from the Redwoods State Parks to the Samoa Peninsula. Big Sur, from Bixby Bridge to Ragged Point. Disneyland and Orange County Beaches, from Disneyland to Dana Point. For some reason the first two drives are described south to north and the second two are north to south. It gets more confusing. The Road Trips are then followed by a Destinations section, which describes in more detail the places you'll see on the way. This is also done north to south although it starts with San Francisco, then jumps north to the Northern Coast and the Redwoods, and then works its way south to San Diego. 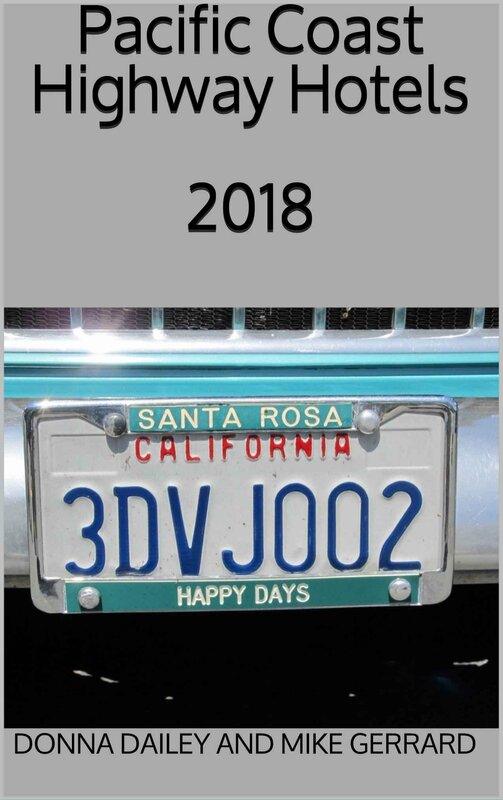 So Mendocino, for example, appears on page 26 as part of the main Pacific Coast Highways drive, but if you want to read about Mendocino in more detail you have to turn to page 66 to find the Activities, Eating, Sleeping, and Drinking & Nightlife recommendations. One very useful section of the book is right at the back: A California Driving Guide. This 5-page spread covers everything you'll need to know about driving in California. This includes road rules, parking, the border crossing and possibility of an agricultural inspection (better eat those apples before you enter California! ), and a host of other good practical information. There's even a California coast playlist – headed by The Beach Boys, of course. 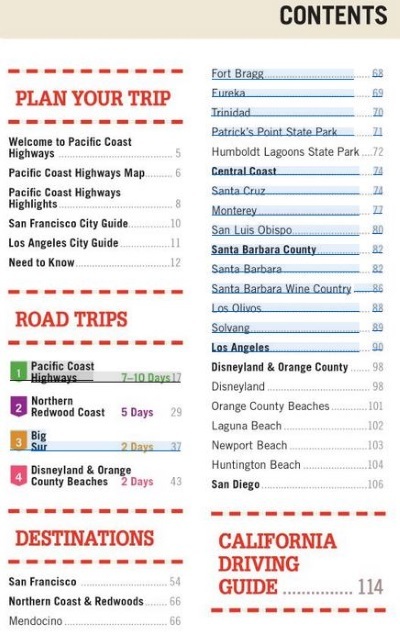 We had hoped this would be the guide to the PCH that we could really recommend, and while there is a lot of information in its 128 pages, it's confusing to use. Also, it seems to be put together from other guides, which is what a lot of guidebook publishers do in order to repackage existing material. 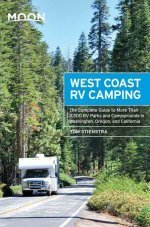 At a cover price of $12.99 (£7.99 in the UK) it won't break the bank and is probably the most up-to-date guide you'll find, but a bigger guide to the whole of California would probably serve you better.